The Town Council is considering the Aydan Court proposal tonight at 7:00pm at the Town Council chambers. A number of citizens have raised concerns about this proposal and will be speaking out against it tonight. Today’s Chapel Hill News published a guest column by Jan Smith and letters to the editor (Snavely, McClintock) outlining concerns about the proposal to develop this environmentally sensitive area near Meadowmont. At the end of a grueling six hour meeting, Council ran out of time and energy to hear the Aydan Court agenda items which were then continued to Wednesday, May 25th. If you’re not familiar with this important development, click here to learn more about the positions, from the developer and from citizens. The Town is once more faced with the dilemma of acceding to a developer’s demands for rezoning and special use permits that are not consistent to existing zoning and the Comprehensive Plan. This area, like Charterwoods and Obey Creek, could be developed with consideration to the expressed wishes of the citizens through the Comprehensive Planning process, the environment, the natural habitat they provide and their prominent positions as gateways to Chapel Hill. We’re hopeful that the developers will either revise their proposals to be consistent with existing ordinances, zones and regulations or that final approvals for these proposed developments, Aydan Court, Charterwoods and Obey Creek, will be voted down or deferred until the Town has the opportunity to consider them with an engaged public as part of the newly launched Comprehensive Plan. Increasingly we are seeing developers’ proposals that fail to consider important town ordinances; tree, steep slopes, RCD. Council is desirous of increasing the tax base and is caught between the press to develop and harvest taxes and being responsible to the citizens by enforcing the ordinances that are so important to them. Unfortunately, granting these many exceptions undermines the validity of the existing ordinances and Council’s credibility. Ultimately, following our ordinances consistently is a basic principal of our organization and we believe for the entire community. 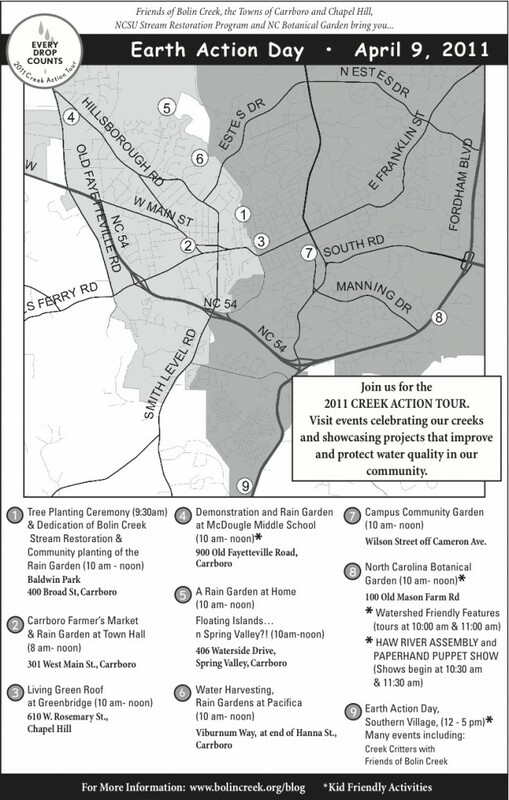 The Town website has the latest information on the process to develop a new Comprehensive Plan to determine the shape of future growth in Chapel Hill. If you are interested in participating in the process, sign up as a stakeholder. The process for developing the new Comprehensive Plan has not yet been worked out. The initiating committee will make recommendations to the Council about how the process will work. The land to be cleared includes 59 rare trees most of which are white and red oaks, as well as some maples and chestnuts plus 125 specimen trees. Specific to this property. A rare tree is a pine with at least a 36″ dbh (diameter at breast height) or other trees with at least a 24″ dbh. A specimen tree is a pine with a minimum 18″ dbh or any species that has a dbh of 12″ or more. Twenty-six of the trees to be cut are 36″ – 49″ dbh. It takes a white oak more than 100 years to reach this size. One has to wonder what the intent of the newly effective Tree Ordinance can be if such beauties can be leveled for a few homes and stores. It is possible to develop this land in a more considerate fashion. More careful attention to design specifics is needed to these proposed plans. Much of this land is not level and is filled with small ephemeral streams. The land dips from MLK Blvd down to a low lying RCD area before leveling out. The Commercial spaces and dumpsters front very directly on the established neighborhood next door. Generous buffers are needed for this new commercial development when most of the woods will be removed. Parking could be structured to preserve some of the large canopy oak trees. The access to a proposed single family neighborhood which winds around behind the Town’s fire station ending in a cul de sac is awkward and the curb cut would cause dangerous turning movements very close to the busy Weaver Dairy intersection. Saving more of these valuable trees would improve the attractiveness of the development property as well as increase the commercial value long term. Franklin Park on East Franklin Street across from Whole Foods gives an excellent example of how large old trees were preserved in a commercially viable project. And one additional point about the financial analysis should be mentioned. During the discussion of moving the library to Dillard’s we learned that the town receives a bit over $43,000 per year in property and sales tax revenues from Dillard’s. The Charterwoods development projects $250,000 in sales tax revenue from retail. It is hard to imagine that a bank, a barber shop/beauty salon, a day care center, plus a place of worship and a clinic (neither of which pay taxes) would generate such generous revenues! It is right that we should question these plans and underlying assumptions so we achieve the best outcome for the Town, the neighbors and the property owner. Once this property is bull-dozed we can never put it back the way it was.